'Concerning Egypt I will now speak at length, because nowhere are there so many marvelous things, nor in the whole world beside are there to be seen so many things of unspeakable greatness'. 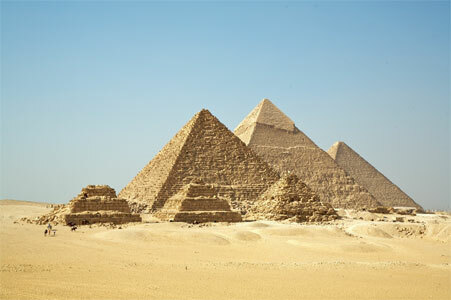 Gaia called us to go to Egypt in 2012. Egypt holds the ancient connection to Lemuria and Atlantis and the land there is infused with a sacred energy that quickens consciousness, opens hearts and is very empowering. Patricia and I feel that it is very appropriate that we were called to go there for 2012! For the first time Earth Connections was 13 days long - 25th February to 9th March. We were 16 participants as well as Eloha and Patricia. We came from England, Ireland, Germany, Holland and Austria. We stayed in the charming town of Luxor at the Flower of Light Centre on the West Bank. Some of the extraordinary and powerful sites we visited there include beautiful Luxor Temple, which we saw at dusk, meditating as the sun set and the moon rose in alignment with Venus and Jupiter. We visited Karnak Temple, via motorboat on the Nile. At Karnak we were very lucky indeed to spend time in the Sekhmet Temple (which is officially closed). The statue of Sekhmet is imbued with her very powerful and infinitely loving energy; the ancient Egyptians were masters at working energetically. We saw the stunning Hatshepsut's Temple with it's powerful mountain backdrop and Medinet Habu Temple.We also visited the Valley of the Kings and meditated in a beautiful tomb in the Valley of the Nobles - befriending our own Death. We journeyed to Edfu, Temple of Horus to connect with the Divine Masculine energies and to Dendera, Temple of Hathor, connecting with the energies of Birth and Rebirth. For relaxation and fun we sailed on the Nile at sunset on a Felucca, with wonderful Egyptian musicians providing music to dance to or just to look out over the Nile to it's banks where farmers and donkeys and camels carried on with life that has not changed much over thousands of years. We shopped, of course, in the Souks and Alabaster factory. And to top it all the Centre threw a marvelous party on our last evening in Luxor, again with fabulous musicians and much dancing. We visited the Red and Bent Pyramids at Dashur. We were the only people in the Red Pyramid, it's stunning inner chambers are charged with powerful energies and the group began to spontaneously tone, the harmonies created making our whole body tingle. We went to Saqqara Step Pyramid and temple complex built by Imhotep, who was a great genius in his time and later worshiped as a god.We entered the pyramid of Teti, with the pyramid Texts (which later became the Book of the Dead) again with beautiful and powerful energies.All these visits prepared us for our final morning when we had 2 hours private access to the Great Pyramid of Giza. We entered in the dark of early morning and went down deep into the earth to the underground chamber where we asked Gaia to transform our fears. We then went to the 'Queen's' chamber and finally to the powerful 'King's' chamber where we toned again, the harmonics were astounding. We sent out into the world our vision for ourselves, humanity and the world encapsulated in one word. We came out of the pyramid into the light of day. Of course we shopped again, we visited Cairo Museum, the most famous and most dusty museum in the world, we had wonderful meals in different resaurants and on the last night a mini-cruise on the Nile with dinner, music and dancing. We worked with the powerful energies at the sites using ceremony, ritual and meditation and we opened further to our own power, love and truth and deepened our connection to Earth and the oneness of humanity. It was a very special time for us to bring our energies to Egypt. The country is struggling to find freedom from oppression. Also our money helped many who are struggling to make a living and feed their families now that so few tourists are coming. The upside for us was that we had so many places to ourselves! This was a journey of a lifetime. It was an opportunity to spend time with like-minded people on a magical mystery tour facilitated by Patricia and Eloha who bring a wealth of experience of working at sacred sites; of creating a non-judgemental loving atmosphere and much humour! Arrived in Cairo 25th February. One night in a hotel. 26th flight to Luxor to stay at the Flower of Light centre on the West Bank. 5th March flight to Cairo to stay at a hotel. 9th March workshop ends. Fly back home.